The stock market often works in strange and mysterious ways, and the fact of the matter is that a lot of companies are at the mercy of the people that own their stocks. Twitter had a pretty decent year, one that ended up with some serious revenue that translated into a sizeable amount of profit overall. This has shown a good trend that Twitter has been following. 2016 ended with a 108 million dollar loss, and in spite of that Twitter has grown its revenue over the past two years until last year when its revenue crossed 3 billion dollars. In spite of all of this good news, Twitter’s stock prices have been plummeting recently. This is because of the fact that Twitter is predicting that the year ahead might not be as good to them as the last two, something that is basically happening because of the fact that Twitter is going to increase the amount of money it spends. Even though this extra expense is being incurred because of the fact that Twitter is improving its platform, investors are not happy which is what is sending the stock prices plummeting. "While [Twitter's] DAU projects the possibility of growth, other social media platforms have been able to far outpace Twitter. 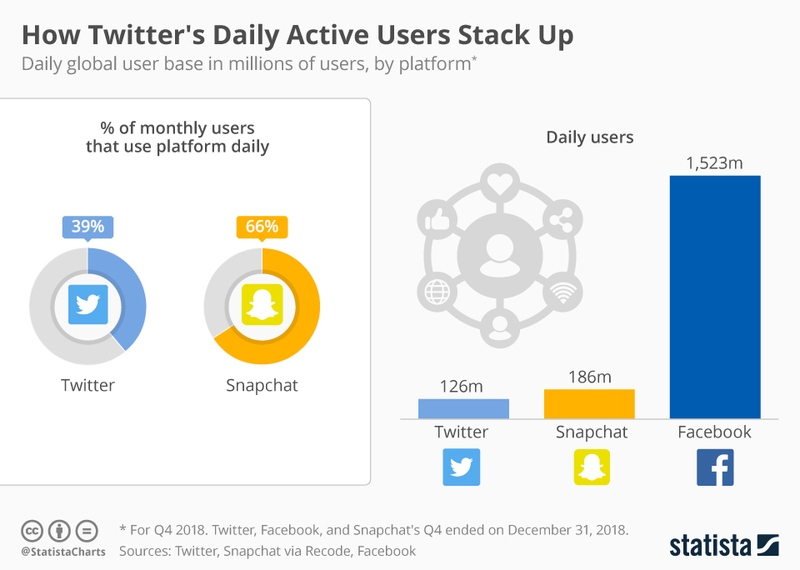 Snapchat has 60 million more daily users and Facebook tops them all, with about 1.5 billion daily active users. ", noted Statista. 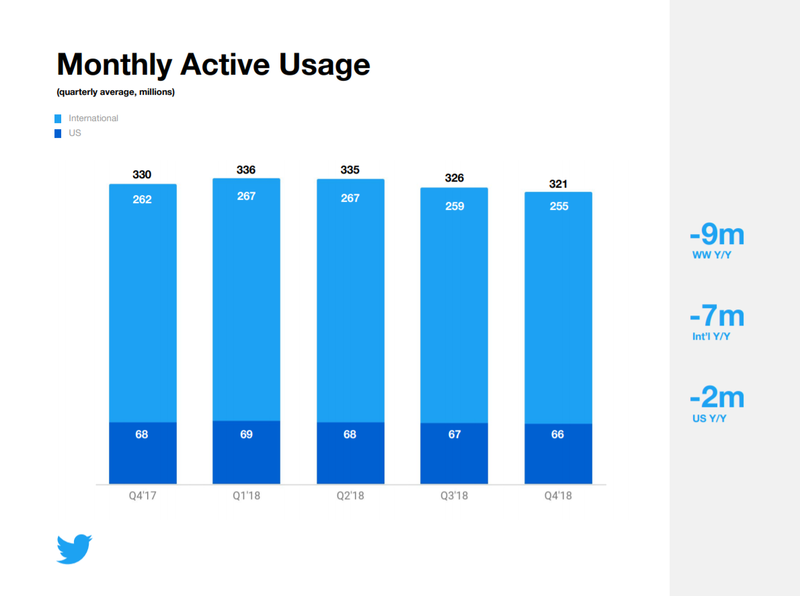 • "Average monthly active users (MAU) were 321 million for Q4, compared to 330 million in the same period of the previous year and compared to 326 million in the previous quarter." • "Q4  revenue totaled $909 million, an increase of 24 percent year-over-year or 26 percent on a constant currency basis." • "Monetizable daily active users [DAU] grew 9% year-over-year with double digit growth in 5 out of our top 10 global markets." • Twitter currently boasts 126 million daily users.